Morris “Moe” Berg (1902 – 1972) was an American catcher and coach in Major League Baseball who later served as an atomic spy for the Office of Strategic Services during World War II. It all started on Sunday, April 19, 2009 when Baseball PhD’s future creator, Ed Kasputis was at Citi Field. Ed was with his family and friend from Philadelphia, David Drubin watching the first Sunday game at the Mets beautiful new ball park. “It was the 6th inning when David Drubin starting telling me about the incredible story of Moe Berg,” said Ed Kasputis. A few days later, Drubin mailed a book about Berg to Kasputis. ”I read the first half of the book and came up with the idea of Baseball PhD,” said Kasputis. ”Just like Moe Berg, I wanted to get a PhD in life – through baseball. 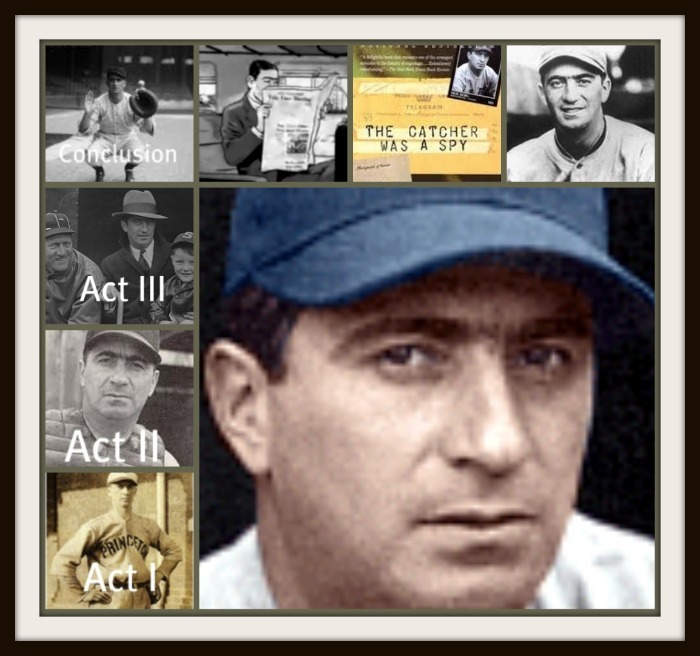 On Friday, November 12, 2010, Baseball PhD produced a podcast (Episode 36) dedicated to the catcher who was a spy, Moe Berg.